Bridger Steel opened its doors in Bozeman, MT in 1996 when owner, Dennis Johnson, realized farmers, ranchers and homeowners needed better access to high quality metal panels in the American West. Through hard work, ingenuity and a distaste for the word “No”, Dennis helped his customers find new uses for metal in residential, agricultural, and commercial markets and pushed for new styles, better paint systems, and higher quality materials. Today, we purchase steel from American producers and work with American based paint and accessory companies to ensure the panels we manufacture are consistent and high quality. We collaborate with those companies to develop new colors and styles to meet the needs and ideas of our customers. Bridger Steel offers one of the largest selections of colors, panel profiles, and prints of any manufacturer on in the market. Now, with six stores in three states and the ability to ship products across the country, we’ve helped hundreds of architects, builders, homeowners, farmers and ranchers create strong and durable projects that look beautiful and stand up to the elements. We believe the sky is the limit. If you can imagine it we’ll find a way to help your vision become a reality. 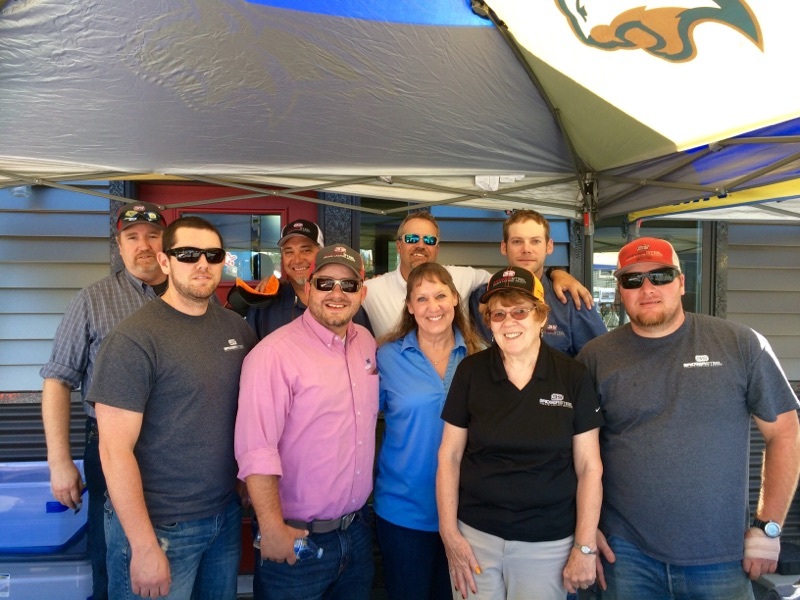 At Bridger Steel we treat customers, employees, and vendors like family. We accomplish this by showing appreciation, taking care of their needs in a timely manner, showing respect, being consistent in everything we do, and welcoming them home. At Bridger Steel we thrive on finding solutions and researching all the options to make sure our co-workers, customers and vendors get the help they need. Our employees are genuinely interested in our clients’ projects, and we listen and are thorough in our approach to finding solutions. At Bridger Steel we treat every person equally. It does not matter the job, position, or request. We treat anyone who walks through our doors with respect and dignity. At Bridger Steel we treat everyone with honesty and integrity. We’re here to ensure each person finds the best products for their needs and the best solutions to their challenges. We are honest about costs, potential problems, lead times, and our products. Life is too short to be unhappy, to feel stuck, to not try, to not be doing something you love, and to not make a difference. We support our employees and customers and want them to succeed, excel at their passions, and enjoy both work and life. Life is too short to do anything else.